English educationist; born 1854 in Russia. He went to England about 1880, and began his career as a teacher of Russian and kindred languages to army officers, becoming examiner in Bulgarian to the civil service commissioners. He was for some time lecturer in Russian and other Slavonic languages at the University of Cambridge. In 1894 he was appointed assistant master at Cheltenham College, and head of a house for Jewish boys at that institution. 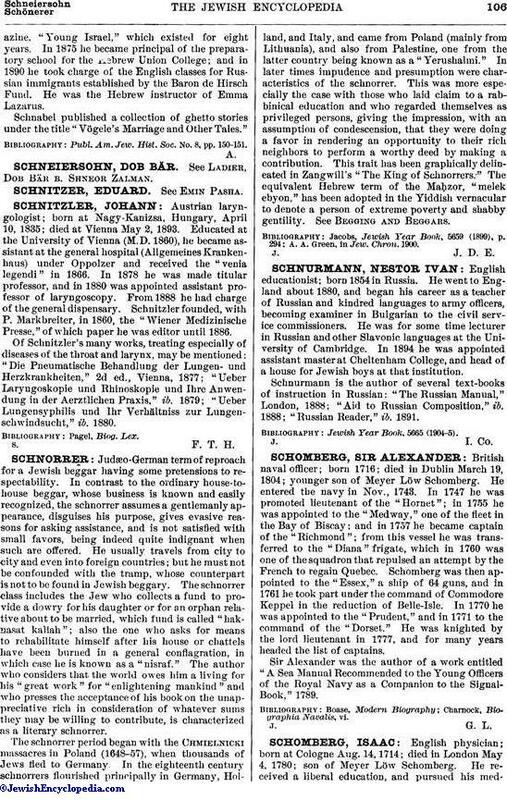 Schnurmann is the author of several text-books of instruction in Russian: "The Russian Manual," London, 1888; "Aid to Russian Composition," ib. 1888; "Russian Reader," ib. 1891.